The Adult and Toddler ticket does come with some restrictions. This ticket is a special offer only available outside of school holidays (Term-Time Only). This ticket is only available online.  Includes admission to SEA LIFE Birmingham and unlimited access to all of the attractions. Offer valid from Monday to Friday (and selected Sundays) to visit at any time between 10am and 4pm. Ticket admits one adult and one child 5 years or younger. Children under 3 years can visit the attraction for free. You must have a child of 5 or under in your party to book this ticket option.